Living somewhere like Florida where insulation and proper sealing of a home is important for comfort as well as your wallet, the issue of poor indoor air quality can develop rapidly. Indoor air quality varies from home to home, but with tightly sealed windows and improper ventilation, it can aggravate the allergies or asthma symptoms of members of your family and make everyone slightly less comfortable. IERNA's Heating & Cooling offers a full range of indoor air quality services for homes and businesses in Tampa and the surrounding Hillsborough County and Pasco County areas. If you are concerned about air quality and would like to learn more about what you can do to improve yours, call us today. I would also like to extend my gratitude and respect for a job well done. Most air quality issues are simple and therefore easy to fix. Allergens like pet dander, dust, pollen and even some mold can develop inside when there is not sufficient ventilation and filtration. These may not affect every family member, but those they do affect can become quite miserable over time. To remove common allergens like these, we recommend high MERV rated or even HEPA rated air filters. 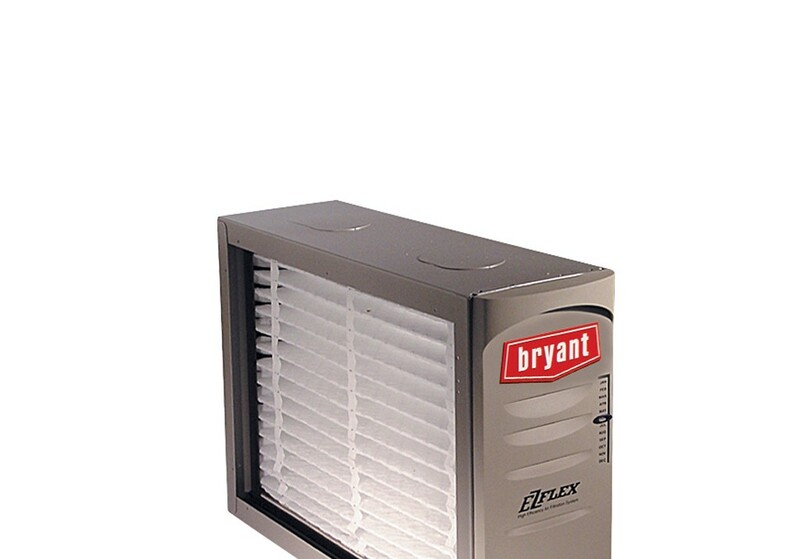 Air filters are installed as part of your air handler and can remove particles that are large enough to see in the air. The higher rated a filter, the smaller the particles it can remove. You can ask your technician about what options there are based on the models we carry. We also offer dehumidifiers, which offer an important solution for those high humidity winter days when it is not warm enough to turn on your air conditioner. These days can result in high humidity that then makes people uncomfortable and can contribute to the growth of mold in and around your home. Dehumidifiers are installed as part of your ductwork system or can be installed at your air handler. We also offer UV germicidal light installation services. 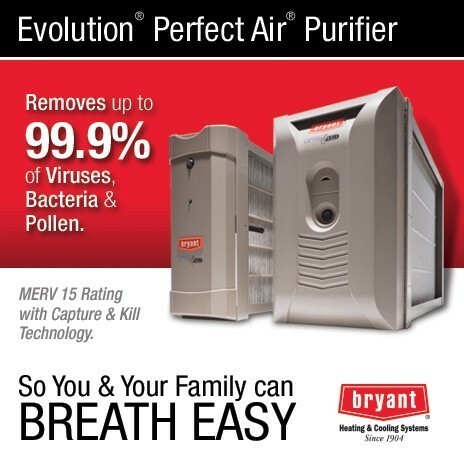 These systems will remove any unwanted germs such as viruses and bacteria from your home’s air supply as it passes through ductwork, greatly reducing the impact of such germs on the health of those with allergies or asthma symptoms. 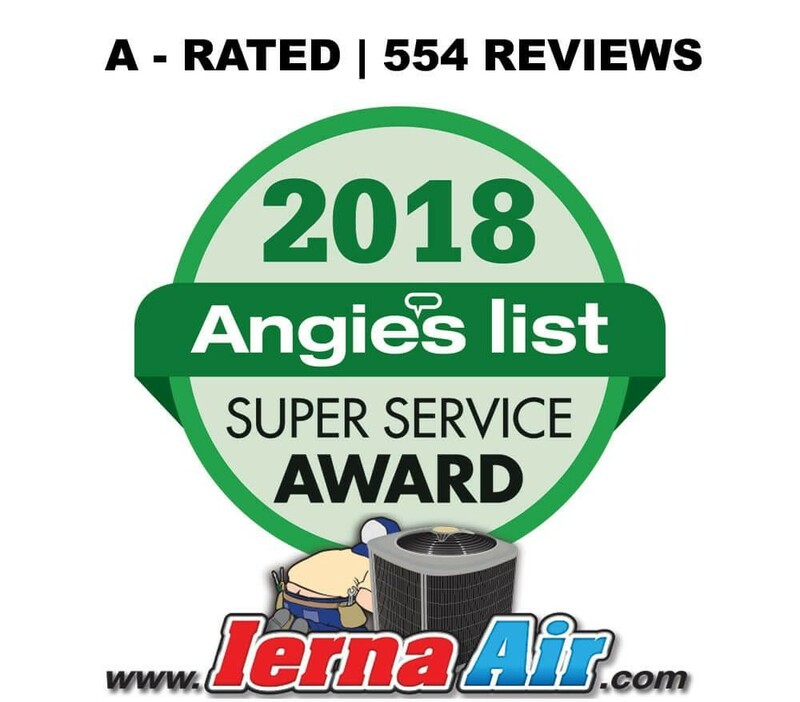 If you are concerned about the health of anyone in your family and would like to discuss your options with an indoor air quality specialist, call IERNA's Heating & Cooling today and ask to talk with one of our NATE and EPA certified technicians. We can test the air in your home and help you select a system that meets the needs of your family members. 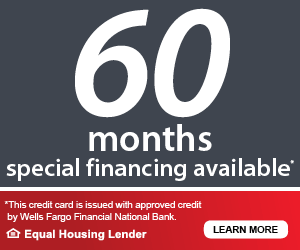 There are no high pressure sales pitches – just our technicians helping you make important decisions about the comfort and health of your family.